USA (MNN) — Third-world people groups aren’t the only ones that need God’s Word. As Hank and Ruth Hershberger of Wycliffe Bible Translators USA can attest, the Amish need Scripture, too. Hank says he became aware of this fact while serving the Lord in Australia. The Hershbergers spent a quarter-century in the Land Down Under with Wycliffe USA, translating the New Testament for the Gugu-Yalanji Aboriginal people. 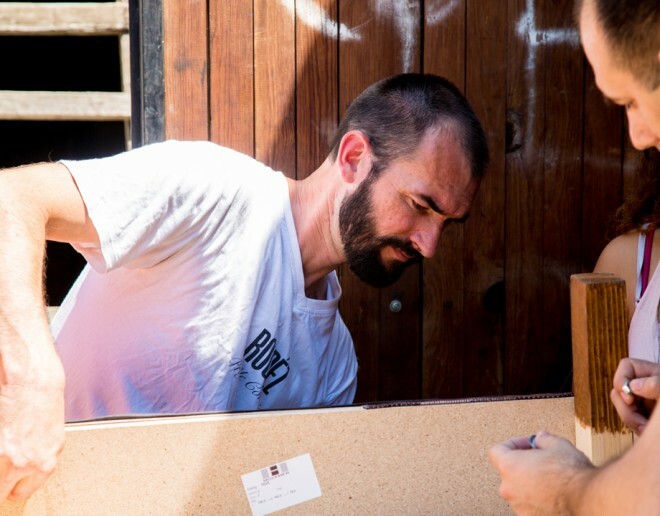 “The Lord seemed to tell me, ‘Your own folks don’t have the Scriptures in their own language.’ And more and more, I was convicted that following our translation work in Australia, we should come home and do a translation in my own language,” he states. 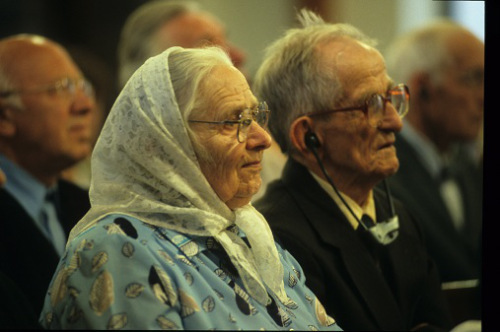 Acting in obedience, Hank and Ruth returned home to the U.S. and began translating Scripture into Pennsylvania Dutch, the heart language spoken by over 200,000 North American Amish. The Pennsylvania Dutch New Testament was completed in 1994, and the Old Testament followed in 2012. Hank says that while nearly 20,000 copies of the Pennsylvania Dutch New Testament have been sold to the Amish, this translation meets a great deal of resistance by Amish church leaders. Hank grew up in an Amish family and understands firsthand the struggle to read God’s Word in Luther’s Gothic Script High German. This translation of Scripture is the only one accepted and used by the Amish. This has serious consequences, he adds. “[The Amish] do not understand the German Scripture very well, and this can result in misinterpretation of the Scripture,” Hank says, referencing the Beatitudes as an example. Martin Luther used a certain word in his translation to mean “blessed;” the same word is also used in Pennsylvania Dutch, but in this language it means “saved.” The confusion of this one word has resulted in a “works salvation” theology among the Amish, Hank explains. If more Amish churches were to use the Pennsylvania Dutch translation, Hank believes it would correct mistakes in doctrinal teaching. While Amish church leaders remain suspicious of the Pennsylvania Dutch Bible, some Amish families are using it for their home devotions. “We don’t get an awful lot of feedback, [but] I think it brings them closer to the Lord,” shares Ruth. 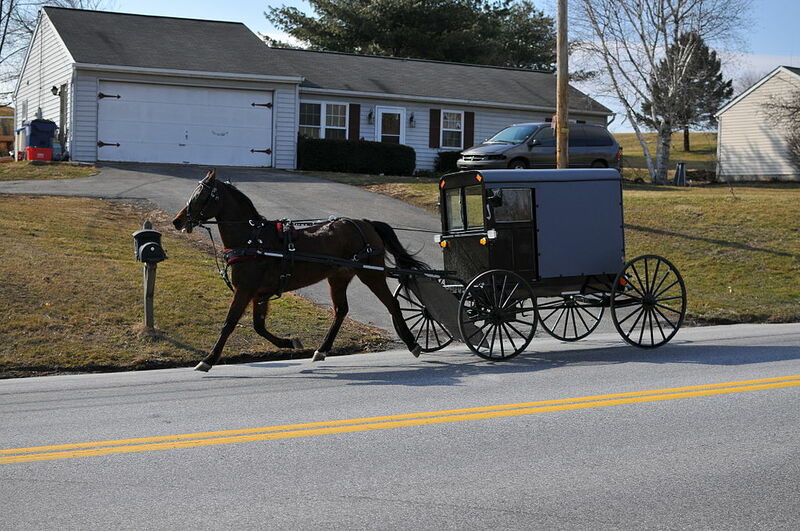 Order a copy of the Pennsylvania Dutch Bible to share with an Amish acquaintance here. Pray that the Amish will read God’s Word and that it will speak to them. Pray also that the Amish will believe the Word of God and act upon it. Please do not overlook those of us who are Amish and CAN read High German or those of us who are Amish and DO read the scriptures in English. In our home we use all three: High German, PA Dutch, and English. 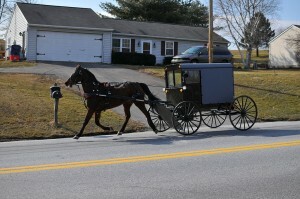 We belong to the largest Old Order Amish group in Holmes County. While there certainly are Amish who struggle to read the Luther Bible, implying we are all that way is misleading and troubling. On a positive note, we thoroughly enjoy the PA Dutch translations of both old & New Testament and are very thankful for the work that went into it. Just because we Amish do not believe the easy “Cheap Grace” theology being taught in most of today’s churches does not mean we don’t know the Bible. We use both the English and the German bible and most of us can understand German much better than Hank and Ruth think–after all we speak German as our everyday language. The Pennsylvania Dutch bible has some major doctrinal errors, and I would strongly discourage the usage. The translators don’t understand German phonics. Ray, some specific examples of doctrinal errors and mis-translated phonics would be helpful and appreciated. Thanks. And while I agree that there is a lot of “cheap grace” teaching out there, it’s just a wrong to label everything we disagree with as “cheap grace” as it is to paint all Amish with the same brush regarding stereotypical errors. Is it possible that there are errors in Amish teachings, theology and ways which others avoid while not being part of the “cheap grace” crowd? I personally have appreciated the PA Dutch Bible for several reasons. 1) I know Hank and Ruth personally. They have a sincere heart for all people; even more so when it comes to their own people. 2) I appreciate the fact that our spoken dialect (PA Dutch) has finally been written and can be passed on to future PA Dutch speaking generations. What better way to pass on our precious dialect then through God’s Word. 3) There are groups of Amish who understand the Martin Luther translation better, and are more open to reading other Bible translations; however, it is true for the most part that German is the least understood language of all. Therefore, I’m thankful that the PA Dutch Bible has been made available. I so wish people would stop warring over translations and who wrote what and why. Why not just read and preach from a Bible in the language we know best, whether English, German or PA Dutch. Acts 17:11… These were more noble than those in Thessalonica, in that they received the word with all readiness of mind, and searched the scriptures daily, whether those things were so. While we war and divide over God’s Word, people all around us are dying and entering the realm of eternal damnation and suffering in hell. Shame on us for elevating our culture, or denomination, our heritage over all others in the world. In the end, when we appear face to face with our Maker, these things will not matter a mite. Let’s get rid of our pride and preferences; let’s spread the pure and simple gospel of Jesus Christ to our lost and dying cultures of the world. Where can I purchase one of these Bible in the language of the Amish. We have Many here in Indiana and would love to see them have the world of God in their own language. Thanks for the help. 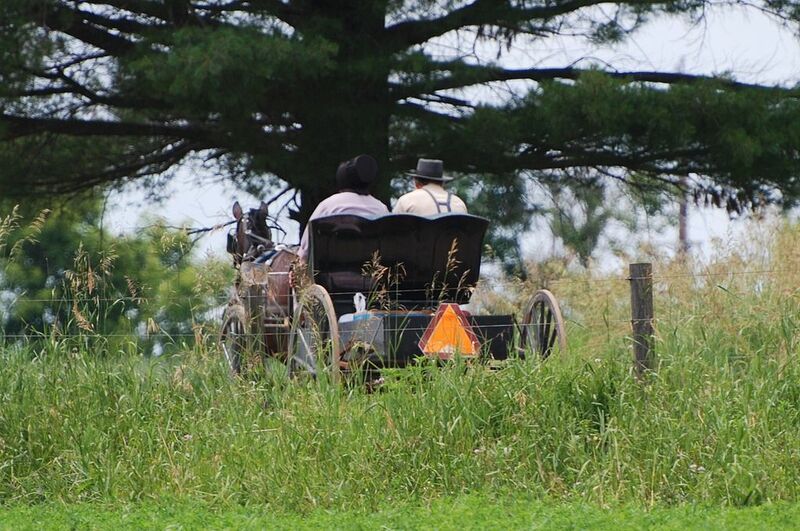 Pray that the Amish will read God's Word and that it will speak to them. Pray also that the Amish will believe the Word of God and act upon it. Pray that Amish church leaders will begin using the Pennsylvania Dutch translation and allow it in their churches.